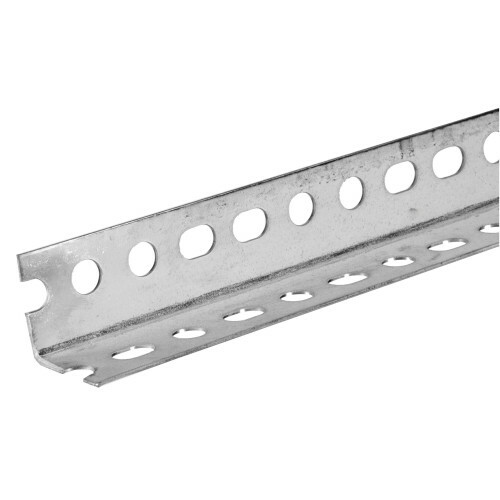 The SteelWorks Slotted Angles are great for constructing shelving units, equipment stands, and other storage structures. Slotted angles have evenly distributed holes to ensure simple installation of nuts and bolts for your desired structure. Tip: gauge size indicates metal thickness. Parts have an electroplated zinc coating that gives the steel a clean, bright look while also protecting it from rust. Steel that is zinc plated should not be welded due to toxic fumes.